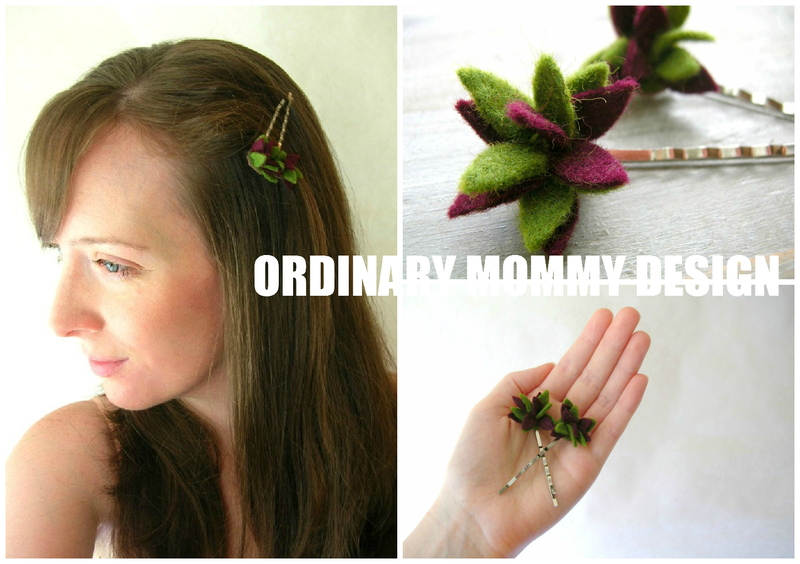 ORDINARY MOMMY DESIGN: More Wee Succulents. As promised, there is a new succulent hair pin design in the shop! This design features a little spray of pointed leaves. It is currently available in variegated burgundy and moss here. It's like wee garden confetti for your hair.